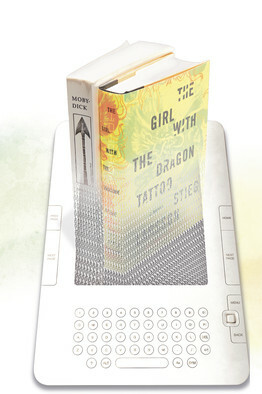 People who buy e-readers tend to spend more time than ever with their nose in a book, preliminary research shows. A study of 1,200 e-reader owners by Marketing and Research Resources Inc. found that 40% said they now read more than they did with print books. Of those surveyed, 58% said they read about the same as before while 2% said they read less than before. And 55% of the respondents in the May study, paid for by e-reader maker Sony Corp., thought they’d use the device to read even more books in the future. The study looked at owners of three devices: Amazon.com Inc.’s Kindle, Apple Inc.’s iPad and the Sony Reader.